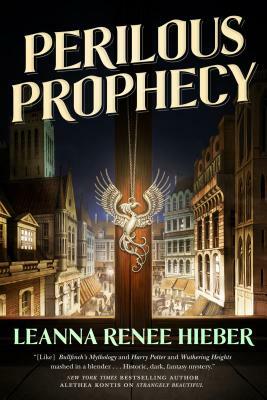 Leanna Renee Hieber helped create the gaslamp fantasy subgenre with her first novel, The Strangely Beautiful Tale of Miss Percy Parker, which won two Prism Awards for RWA's Fantasy, Futuristic, & Paranormal Chapter. A talented actress and singer who has been seen on stage and screen, Hieber can also sometimes be spotted leading ghost tours of New York City's Central Park. Her first YA novel, Darker Still was a Scholastic Highly Recommended Title, an INDIE NEXT selection, and a finalist for the Daphne du Maurier Award. Her books from Tor include The Eterna Files, first an historical urban fantasy/gaslamp fantasy series, and the author's preferred edition of Strangely Beautiful, which contains The Strangely Beautiful Tale of Miss Percy Parker and The Darkly Luminous Fight for Persephone Parker, united as the single novel the author originally intended, revised and with the addition of several new scenes. Hieber grew up in Ohio and now lives in the New York City area.